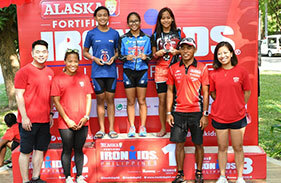 Successful Alveo IRONMAN 70.3 Davao embodies peace in Mindanao | Sunrise Events, Inc. 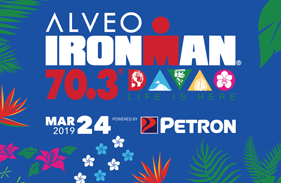 The successful staging of the 2019 Alveo IRONMAN 70.3 Davao on March 24, 2019 at the scenic Azuela Cove, Davao will once again embody peace in Mindanao. Government is leading all sectors of society to address inequities, distribute resources equitably and unite the many cultures and tribes into one nation which will ensure peace in the region. 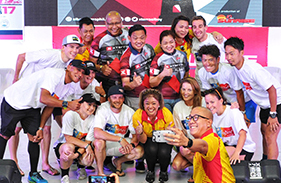 Close to 2,200 participants from 38 countries from all over the world will join the biggest sports event of the year in the island region and everyone is working together to ensure its success. 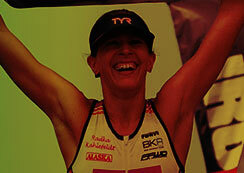 The event, organized by Sunrise Events, is not just for adults but a shared activity with every member of the family. 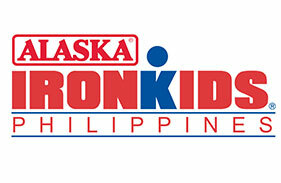 Alaska Fortified IRONKIDS Philippines is a race for boys and girls who are six to 14 years old. 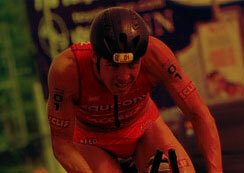 It reels off March 23 also at the Azuela Cove. 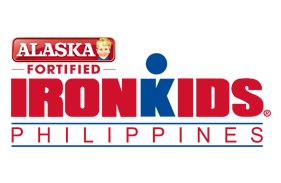 IRONKIDS is the sport for children to develop their abilities, make friends and experience the fun of healthy competition. 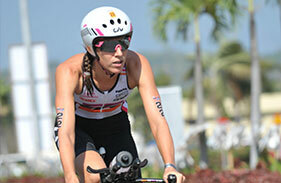 Mexican Mauricio Mendez and Czech Radka Kahlefeldt return to Davao to defend their crowns as they lead 16 pro triathletes who will compete in the IRONMAN 70.3 race. Meanwhile, the Davao Police Regional Office (PRO 11) will be the lead agency in coordinating all efforts to ensure the safe and successful staging of the activity. 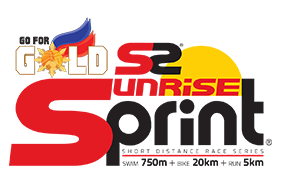 Some 3,200 security personnel composed of police, Task Force Davao (TFD), and other force multipliers will be deployed on race day. 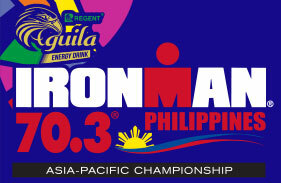 Alveo IRONMAN 70.3 Davao will start with a 1.9 kilometer swim at Azuela cove followed by a 90-kilometer bicycle race from Azuela Cove, Lanang to Tagum City then back to Davao City. 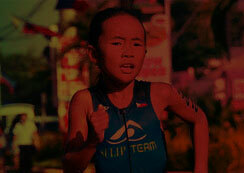 The 21-kilometer run from Azuela Cove to corner Torres St., J.P Laurel Avenue and back will then follow. 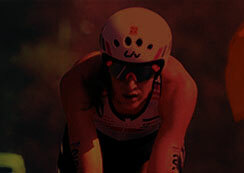 Like last year, there will be a three-layer security blanket to ensure the safe conduct of the event. 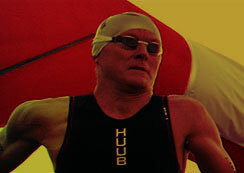 Security will be internal, external and covert. There will be a strategic deployment of road security and safety marshals in major thoroughfares and public safety forces in security control points. 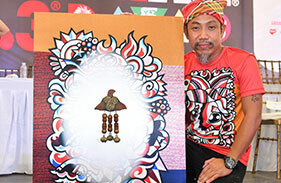 Some 60 tourist cops were likewise assigned to secure the eight hotels where the participants will be staying. Security forces from the Regional Mobile Force Battalion (RMFB), coming from different provinces, will augment the internal security. Reactionary Standby Support Force (RSSF) from the region will be deployed in the city. Government security forces will not be alone in making sure no untoward incidents happen as residents, visitors and everyone will again work together during the event which will serve as an occasion to put aside differences and plant the seeds of harmony. Like last year a vigilant and engaged public will be the most important player in ensuring peace and order. 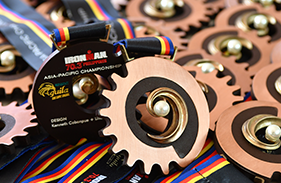 Mindanao, the southern region in the Philippines, once again welcomes the world as it celebrates peace and unity in diversity during the Alveo IRONMAN 70.3 Davao.